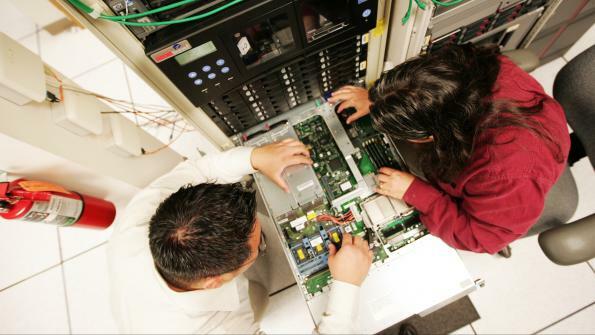 Carlsbad, Calif., incorporates cloud computing into its disaster recovery plan. Carlsbad, Calif., located on the Pacific Coast north of San Diego, faces many potential natural disasters, including wildfires and earthquakes. Until recently, its records storage and backup plan was vulnerable to regional threats that could have disrupted city operations. Now, the city has a disaster recovery plan for its records that includes on-site storage and off-site backup in the cloud. In 2001, Carlsbad implemented a backup appliance from Colorado Springs, Colo.-based STORServer that daily backs up the city’s important records, from agenda bills and ordinances to financial information and databases. Since then, the city has consolidated its data center, bringing nearly all city servers to a single location, and all data is backed up in the center. With that move, however, the city needed to update its disaster recovery plan. At the time, the plan was two-fold: tapes were stored off-site at Iron Mountain, and copies were placed at a site four miles from the data center. Following nearly disastrous fires and other threats, city attorneys wanted to make sure that the data was stored out of the region. In May 2010, Carlsbad implemented a backup plan in which city records are backed up in the data center and the cloud simultaneously, helping to reduce costs, improve performance and permit immediate restore capabilities locally — all while eliminating the need for manual backups. In addition, in the event of a regional disaster, the city can now recover data within the cloud infrastructure at different locations outside of the region.“Now, with our backups to the cloud, we are assured that our critical city records are off-site every evening and out of the region for safe keeping,” says Tony Loeffler, network infrastructure supervisor.